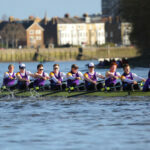 Rutherford Head, raced on the Tyne, saw the University of London make a successful 300 mile trip north to race against Newcastle, Edinburgh and Durham Universities. Most UL athletes, despite being deep into winter training, raced twice. 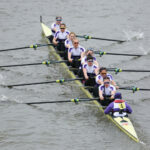 A very strong team performance meant ULBC won ten events. The morning division saw the UL Women win every category entered. The UL Women’s 1st Quad, winners of the Fours Head two weeks ago, set the fastest Women’s time of the day to win the Elite W4x category, and this result was backed up with wins in WIM2 4x, WIM3 4x, WIM3 4+ and WN 4+ displaying very strong strength in depth, across sculling and sweep. The morning division also saw similar impressive strength in depth from the UL Men. The Men’s 1st Eight came home 2nd overall with UL then posting times for the fastest Men’s univeristy 2nd 8+, fastest university 3rd 8+ and second fastest university 4th 8+. The afternoon racing saw the UL Men move to the small boats and winning the Elite Coxed Fours title, as well as victory in the IM3 4+ and IM3 4x categories. 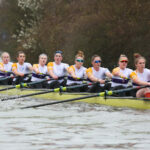 Meanwhile the UL Women raced the eights with the three UL crews placing 3rd, 8th and 10th. The weekend in the north of the country also allowed for some valuable team building (in the form of paintballing – see below) before the term ends and ULBC head to Avis, Portugal for winter camp.